Tom passed away peacefully Saturday, April 30, 2016 at Rose Arbor in Kalamazoo. He was born November 5, 1940 in Allegan the son of Peter and Dorothy (Wolters) Benedict. Tom received his Bachelor’s Degree in secondary education and his Master’s Degree in educational leadership from Western Michigan University. For many years he had been a teacher at Gull Lake Community Schools and had also coached varsity basketball and been the athletic director. After his retirement in 1989 Tom became a realtor with Nulty Real Estate. He was a member of the Michigan High School Coaches Association (SAGES) for 25 years, the Otsego Elks Lodge and the First Congregational Church of Otsego. In his spare time Tom enjoyed golfing, hunting, fishing and spending time with his family and grandkids. On August 25, 1962 in Otsego he married Nancy Reichenbach who survives. Also surviving are their children, Lisa (David) Murdock of Plainwell and Lori (Kyle) Kirshman of Kalamazoo; 5 grandchildren, Josh (Kayla) Murdock, Jordan (Joe) Riley, Gabrielle Kirshman, Keagan Kirshman and Hallee Kirshman; 2 great-grandchildren, Lauren and Hannah Murdock; sisters, Nancy (Walt) Boettcher and Peggy (Paul) Madison along with several nieces and nephews. Friends may visit with Tom’s family from 6-8 P.M. on Monday, May 2, 2016 at the First Congregational Church of Otsego and from 12:00 P.M. Tuesday, May 3, 2016 until the time of the memorial service at 1:00 P.M. at the First Congregational Church of Otsego with Pastor Darin Youngs officiating. A private family burial will take place at Mountain Home Cemetery in Otsego at a later date. Contributions in memory of Tom may be made to Rose Arbor Hospice, First Congregational Church of Otsego or to the Alzheimer’s Association. Ashley passed away Tuesday, April 26, 2016 in Watson Township due to an accident. She was born December 4, 1993 in Kalamazoo the daughter of Michael and Ann (Cole) Pallett. 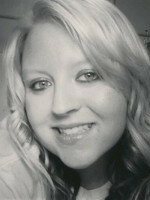 Ashley had worked at Subway in Martin, Blimpies in Allegan and at Walmart. She loved the water and enjoyed swimming, horses and her dogs. Ashley was a people person and liked spending time hanging out with her friends. Surviving are her parents; siblings, Austin and Amanda; grandparents, Dave (Candy) Pallett and Gary Cole; great-grandmother, Martha Jean Bell; aunt and uncle, Ed and Connie Pallett; step-grandfather, Norm Andress along with many other family members and close friends. She was preceded in death by her grandmothers, Jean Cole and Shirley Andress; great-grandparents, Kember Bell, Barb Pallett and Leon Pallett and an uncle, Craig Cole. Friends may visit with Ashley’s family from 2-4 P.M. and 6-8 P.M. on Monday, May 2, 2016 at the Winkel Funeral Home, Otsego where a funeral service will be held Tuesday, May 3, 2016 at 1:00 P.M. with Pastor Kevin Smith officiating. Contributions in memory of Ashley may be directed to her family or to Susan G. Komen for the Cure. Susan passed away Wednesday, April 27, 2016 in Kalamazoo. Susan was born July 16, 1937 in Kentucky the daughter of Joe and Lindie (Smith) Conley. She enjoyed going to church, sewing and watching soaps. Surviving are her husband, John; children, Jeff (Sherri) Smith of Holland, Lori (Randy) Smith of TN and Julie (Marty) Smith of Allegan; 4 grandchildren, Nicole and Jessica Smith and Travis and Tiffany Vargo; siblings, Omie Jones, Betsy Bromley and Tom and Ada Conley. She was preceded in death by her parents and siblings, Roy, Mitch and Ida. A graveside service will be held Monday, May 2, 2016 at 11:00 A.M. at Miner Cemetery, Watson Township. Contributions in memory of Susan may be made to Allegan Bible Church. Garrit passed away Thursday, April 21, 2016 in Kalamazoo. He was born September 20, 1928 at home in Alamo Township to Fred and Katrina (Nightingale) Vander Veen. 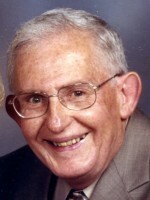 Garrit was a graduate of Central High School in 1946. On June 25, 1948 at Twin Lakes Reformed Church he married Winona Smith. With Winona by his side Garrit had owned and operated Vander Veen Brothers and Suburban Tank Company from 1954 until his retirement in 2003. 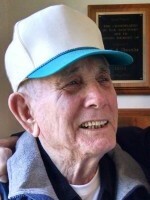 In the 1980’s they bought his in-law’s centennial farm which he enjoyed working for several years. Following his retirement they opened and ran a storage building business at the farm. In his spare time he enjoyed traveling and flying and had his own plane. Surviving are their children, Cindy Vander Veen (Hall) Taylor of IL, Rick (Cheryl) Vander Veen of Galesburg and Victoria (Scott) Williquette of Alamo Township; son-in-law, John (Terry) Vander Ploeg of Kalamazoo; 8 grandchildren, Kelly (Andy) Brown, Garrit (Nicholl) Taylor, Alethia (Greg) Kenworthy, Scott Vander Ploeg, Laura Taylor, Catherine (Ayojide) Akinrinmade, Tom Vander Ploeg and Scott Matthew (Johanna) Williquette and 2 great-grandchildren, Cormac Taylor and Asa Akinrinmade. He was preceded in death by his parents; wife, Winona in 2014; daughter, Lani Vander Ploeg in 2006; 1 sister and 2 brothers. Friends may meet with Garrit’s family from 2-4 P.M. and 6-8 P.M. Monday, April 25, 2016 at the Winkel Funeral Home, Otsego. A private family burial will take place at Alamo Center Cemetery. A memorial service will be held Saturday, April 30, 2016 at 1:00 P.M. at Oak Grove Bible Church in Kalamazoo with Pastors David Ives and Scott Williquette officiating. 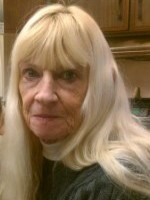 In lieu of flowers contributions in memory of Garrit may be made to Oak Grove Bible Church. 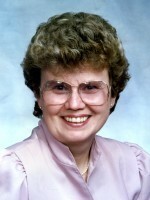 Judy Lylene Leonard, 70, of Plainwell passed away peacefully at Kairos Dwelling in Kalamazoo on April 16, 2016 surrounded by loved ones. 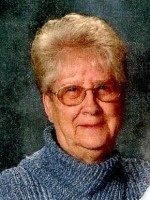 Judy was born in Allegan on February 15, 1946 to Marion and Mabel (Huffman) Harris. Judy enjoyed shopping, finding bargains at garage sales, attending the annual family fish fry, visiting with family and riding on the motorcycle with longtime partner, Dennis. One of Judy’s favorite places to shop was at Harding’s Market in Otsego she adored the people that worked there. Judy is survived by her partner of 14 years, Dennis VanDusen II; son, Scott Filkins; step-daughter, Amanda VanDusen; step-son, Dennis (Tiffany) VanDusen III; brother, James Harris and many grandchildren, step-grandchildren, nieces, nephews and friends. She was preceded in death by her parents; first husband, Robert Filkins; second husband, Richard Leonard; daughter, Laurie Cook and siblings, Agatha Farnum, Marion Harris Jr., Josephine Johnson, Dorothy Fonger, Helen Wemus, Mary Dollar, Gerold Harris, Norma Harris, Raymond (Butch) Harris and Sally Simmons. Beverly J. (Baldwin) Patterson, wife of the Reverend Paul E. Patterson, died April 19, 2016 in Grand Rapids. She was born in Lawton on April 11, 1934 the daughter of Roy and Marian (Rodgers) Baldwin. In 1942, the Baldwin family moved to Albion, where Bev graduated from high school and then attended Central Michigan University. On August 27, 1955 at the First Methodist Church in Albion she married Paul Patterson. 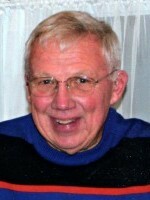 Together they served United Methodist churches throughout southwestern Michigan until Paul’s retirement in 1990. They moved to Otsego where they spent their retirement years. Surviving are her husband, siblings, Georgia (Larry) Bearman of TN and Rodger (Janet) Baldwin of AZ along with several nieces and nephews. She was preceded in death by her parents and siblings, Polly Colwell and Evelyn Buckenberger. A graveside service will take place Saturday, April 30, 2016 at 12:30 P.M. at Oak Grove Cemetery in Lawton with Pastor Joe Shaler officiating. 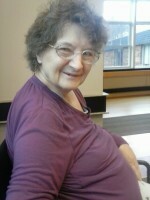 Contributions in memory of Beverly may be made to Hospice of Michigan or Clark Retirement Community of Grand Rapids. Richard passed away peacefully with his family by his side, Friday, April 15, 2016 in Kalamazoo. He was born December 19, 1935 in Otsego the son of Charles and Ida (Herbst) Kling. 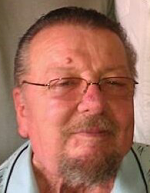 Richard was a member of Peace Evangelical Lutheran Church in Otsego. He enjoyed spending time with, Justin and Karrie and his family most of all. In his spare time Richard liked doing yard work, gardening and fishing. He was a lifelong resident of the area and was employed with Parker Hannifin, Otsego for 41 years. On August 7, 1965 he married Ann White who survives. Also surviving are grandson, Justin (Karrie) Kling of Kalamazoo; daughter-in-law Tammy Kling (Hal) of Kewaskum, WI; sister, Irene Haas of Otsego; sister-in-law, Shirley Kling of Plainwell along with many nieces and nephews. He was preceded in death by his son, Thomas Kling, his parents and siblings, Esther (Bill) Peterson, Minnie (Norman) Pike, Carl (Irma) Kling, Alice (Clare) Drake, Caroline Kling, Ray (Wanda) Kling, Ed (Glenda) Kling, Lenard (Pat) Kling and Don Kling. Friends may visit with Richard’s family from 4-7 P.M. Monday, April 18, 2016 at the Winkel Funeral Home, Otsego. A memorial service will take place Tuesday, April 19, 2016 at 11:00 A.M.at Peace Evangelical Lutheran Church, Otsego with Pastor Andrew Martens officiating. Contributions in memory of Richard may be made to Peace Evangelical Lutheran Church. Shirley passed away peacefully surrounded by her loving family Monday, April 11, 2016 at her home. 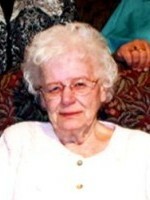 She was born June 6, 1928 in Otsego and was a lifelong resident of the area. Shirley had worked in the cafeteria at Otsego Public Schools for almost 20 years and was a member of the Otsego Lady Elks. On July 13, 1946 she married Renny J. McDonald. Shirley loved taking care of her family. Surviving are her daughters, Nancy Louise (Norman) Starr of Otsego, Marcia Lynn (Timothy) Quigley of Plainwell, Linda Kay (Steve) Leafdale of Otsego and Kathy Ann (Craig) Nelson also of Otsego; 18 grandchildren; 26 great-grandchildren and 1 great-great-granddaughter. She was preceded in death by her parents, Albert and Freida (Simonton) Smith; husband, Renny; grandson, Paul Quigley in 1994 and by her sister, Arlene Kramer. Friends may visit with Shirley’s family from 6-8 P.M. Wednesday, April 13, 2016 at the Winkel Funeral Home, Otsego where a funeral service will take place at 11:00 A.M. Thursday, April 14, 2016 with Pastor Joe Shaler and grandson, Trevor Wolthuis officiating. Contributions in memory of Shirley may be made to Wings of Hope Hospice.